I learned a lot from both the technical review and the lecture/demo session. Keith outlined some rather straight forward ways to decrease EMC issues. These are valuable as they could cause long delays if the techniques were otherwise un-known. A key point is that EMC should be a concern from initial design and should be investigated thoroughly on how to mitigate the issues before you get too far into the design process. I improved my overall understanding of EMC and methods which can be used to improve EMC for products, and gained an insight into EMC problems which will likely afflict my current designs and discussed with Keith methods to improve our compliance. It was a good use of my time! Lessons learned can be carried into future designs – this will hopefully result in cost savings. A key point is that, if not addressed, EMC issues will trip us up at some point or other – whether through incorrect operation or test failures. Best address it at the start and throughout the design. If the fix that Keith suggested to correct the marginal failure proves to be correct, it will have been an excellent use of my time! Even if it doesn’t, we have a number of options to look into. I had seen the demonstration with Keith’s box in around 2004, but it was well worth seeing again for the practical demonstration of the more recent course that we attended. I thought the technical demonstration was a very good visual realisation of issues that we are generally aware of and maybe only play lip-service to. It showed that these really do matter and should be mitigated properly. I think this type of demonstration would be relevant and effective for program managers to see the importance of giving sufficient resources to EMC issues in the design phase rather than the fix it later approach that I have seen in many companies. It was definitely a good use of my time. 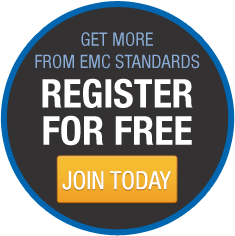 A key point is that EMC is NOT “magic”…. While often EMC problems are solved by trial and error – if you understand what is going on you might even be able to prevent the problems in the first place! Almost certainly I will uses the PCB techniques recommended to improve designs that I work on. I will also be looking to avoid resonant structures of the types described by Keith. A key point was the effect of correct bonding and how it “kills” stray signals – the demonstration of simply placing a ‘short’ across a slot was very powerful. I will certainly look at mechanical aspects more closely in the future in the design of equipment. I am keen to get more hands-on with ‘fixing’ real world designs. It was a very good use my time. Keith provided clear explanation of modern methods of EMC control which he claimed were very effective at achieving EMC compliance. It was apparent to me that he had a very good understanding of the subject (I have met EMC engineers in the past who do not). He was able to clearly describe good EMC engineering practice in a way which was easy to understand. These points are quite obvious in retrospect, but until he pointed them out none of the design team had thought of them! A key point is that as practically everything is now connected to high frequency digital circuits, there are practically no low frequency system designs anymore. I have bought Keith’s book and will incorporate what I have learnt into my electronic designs. I benefitted from a better understanding of which techniques offer best EMC shielding/performance, and have already made changes to improve EMC performance. I would have liked to spend more time with Keith to discuss the design, and if starting from scratch what design would be best for EMC. I benefitted from the understanding of what you can do with a small amount of kit and bit of probing. Everything that was demonstrated was a reminder of what I should be doing. A key point was that you can reduce the noise before you start designing anything. by choosing better chips in the first place. 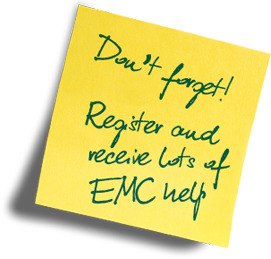 I will change the way I approach EMC, and would like more of the slides – there is a wealth of information there! The design review and demonstration was a good refresher for the course I had with Keith a couple of years ago. It helped to clarify some points I was not 100% certain of, including determining the highest frequency of concern, compromises between feedthrough bulk head capacitors and PCB mount parts. It is always good to refresh ones understanding, particularly when there are large gaps of time between designs. Thanks for all the no-nonsense EMC material you have published on the internet, gives us hope when all looks lost. By the way – just had XXXXXX in with their latest project. Their design chap was extolling your virtues – It passed first time – no remedial action required – virtually noise floor emissions – and it included Ethernet, PoE, USB and DSP! What more can I say!